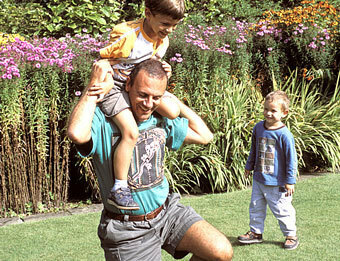 Wales Activities: Wales is a natural playground. Whether you choose walking, canoeing, horseriding, climbing, fishing or the multitude of activities that the Wales countryside makes possible you will not be disapointed. Whether you choose walking, canoeing, horseriding, climbing, fishing or the multitude of activities that the Wales countryside makes possible you will not be disapointed. Attractions: Wales may be small but the number of attractions to visit is huge. Whether it's a castle, historic stately house, zoo, theme park, nature reserve, garden, railway, National Trust CADW properties you are bound to have a stunning time. Eating Places: Contrary to popular opinion Welsh cuisine does not revolve around Lava bread and Leeks. As well as having an extensive unique range of Welsh culinary delights you will find that Wales is truly cosmopolitan in the food you will find on offer throughout the country. You will also be delighted with the high standards of restaurants and service you will find. Culture: In a world where many tourist destinations are becoming homogenised Wales stands out proudly as a country that values its culture. The Welsh people continue to invest their time in maintaining their arts and historic and modern festivals that are not just about Eisteddfods and Choir concerts but part of the Welsh way of life. One aspect of the Welsh culture that is particulary precious is the language which you will hear spoken throughout the country. Shopping: Who does not like to shop when on holiday? Whether it is for a memento to take home Wales has a lot of craft workers making hand made furniture, jewellery, food, and glasswork. So you can be sure to purchase something unique. Maybe you will just the delight of browsing the many styles of shop you will find in every town. Events: The number Wales events seem to increase every year. You will find no matter what time of the year you visit a wealth of information on interesting and exciting occasions in Wales; sporting events, festivals, gallery and museum exhibitions, theatre performances, and much more. When planning you visit to Wales see what fun events you can add to the experience. The Wales Tourism Community has a membership of over a thousand Wales tourist businesses working together to provide the potential visitor with the information they need to maximise the enjoyment of a visit to Wales. Your Tourism Community Wales like all tourist destinations has many websites that provide tourist information. What is different about the Wales Tourism Community Website? All content on the site comes directly from the individual Wales tourist business. Members are able to edit their information whenever they wish, in real time, so you can be sure that it is up to date and correct. Your Tourism Community The Welsh town information is also edited by someone who lives or works in that town in order to offer reliable information why you should visit. So if you are looking for information on Snowdonia, Brecon Beacons, Pembrokeshire, the Valleys of South Wales, Anglesey, the North Wales Coast or any other part of the beautiful country of Wales you are at the right place. 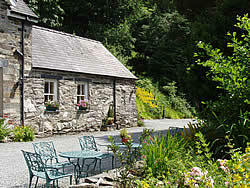 Hopefully you have arrived at our website because you are planning a holiday in Wales. What a good choice! In order to make the most of your visit it is important that you select the place to stay that is perfect for you. This site makes choosing your accommodation very easy. You will then need to know what activities you want to have a go at, what attractions to visit, where to eat, where to shop and what events are going on during your stay. The more you plan now the more you can relax Wales and enjoy your visit. The Wales Tourist Information website has its content added directly by the tourist businesses and community groups. It is therefore a growing resource of good ideas of how to spend your holiday time in Wales. Visit our Tourist Information pages.